Now that the holidays are here and the weather has cooled, I usually like to take a break from writing and try out new recipes. I have about a hundred cookbooks, but I always turn to these year after year and make some of my favorite winter dishes, but I also try out new ones that I add to my list of repeats. These books provide recipes that will satisfy both your savory and sweet tooth, and by the end of the meal, you’ll have your friends begging you for the recipe or asking if they can borrow the book (word of warning: if you lend it out, you’ll never see it again). Below are my favorites which range from making bread to extravagant Italian meals from the Emilia-Romagna region to simple daily dishes and to making your own sushi. After perusing the remarkable recipes in Leader’s compilation of the best of Europe’s artisanal breads, only the most resolutely self-controlled baker will be able to resist marching to the kitchen to reproduce one of these captivating loaves. Leader explains how to create a sourdough from airborne yeasts, and he uses that starter for many of these breads to yield superior, deep flavor and thick, crunchy crusts. Ranging from baguettes to chocolate croissants, from Italian ciabatta to dark Silesian rye, and from Czech country bread to potato pizza, these recipes give access to bread bakers’ highest art. For those lacking the courage and patience to ferment a real sourdough starter, Leader offers several different shortcuts to success. Line drawings guide the novice, and full-color photographs render ideals for Leader’s students to emulate. Question-and-answer sections throughout the book succinctly clarify potential problem areas. 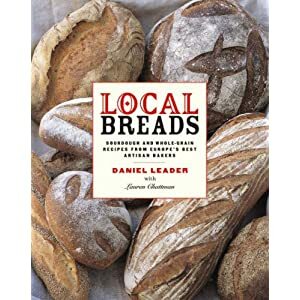 Leader’s Auvergnat blue cheese rye rolls alone make this book a must for devotees of the baker’s art. From an American food writer and cooking teacher, an informed and enthusiastic culinary tour of the northern Italian region of Emilia-Romagna, famous for its fervently upheld cooking traditions and as the source of tortellini, Bolognese rag—, Parmigiano- Reggiano cheese, and balsamic vinegar. This last ingredient appears here in everything from pesto to rabbit stew, veal scallops, and an enticing pot-roasted lamb with wine and olives; and Kasper, who devotes several pages to the mysteries and hierarchies of balsamic vinegar, passes along a tip for simulating the expensive “craftsman” quality with more common versions. It’s the kind of cookbook that comes with a bibliography and with copious historical and other background notes on the recipes and the different local traditions within the region. It also comes with descriptions high in swooning superlatives; fortunately, the recipes–many of them local specialties unfamiliar elsewhere–live up to the billing, both in their attention to flavor-enhancing detail and in the certifiably splendid nature of the dishes. Serious culinary explorers, Italian food enthusiasts, and readers of gastronomic travelogues will put this on their list. Ten years have brought many changes to the U.S. culinary landscape, and Bittman’s new edition of his contemporary classic reflects that, with hundreds of recipes added, out-of-date ones banished and few lines from the holdovers left untouched. The opening chapter offers invaluable new tips on basic kitchen equipment and techniques, and in the wake of the recent vegetarian version of the book, produce and legumes are now featured earlier and with more inspired meatless recipes. Overall, Bittman’s globe-trotting palate shows even better than it did in the already quite international first edition, with intriguing recipes from every corner of the world. Considering these expansions, the most important change has been to the book’s user-friendliness: a proliferation of charts, lists and boxes makes much more information immediately available—hardly a page goes by without an eye-catching sidebar about technique, a handy table organizing the basics of an ingredient or dish or the myriad suggestions of variations and new ways to think about a recipe that make it the best-value all-in-one volume available. 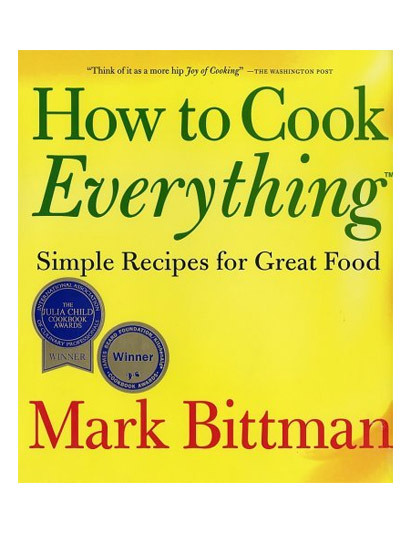 At-a-glance coding to indicate what is fast to make, what can be made ahead and what is vegetarian, plus highlighted recipes that Bittman considers essential, help ensure that even with more of everything to cook, this massive tome is navigable. Whether the first edition is on their shelves or not, home cooks of all skill levels will want to get this one. Pure. Simple. Fresh. 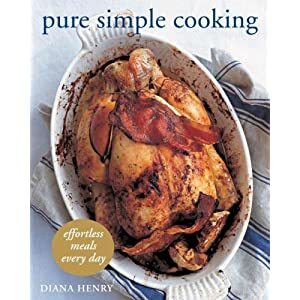 This is the mantra of award-winning cookbook author Diana Henry. With a few core ingredients in your cupboard, you can transform humble staples, such as sausages, potatoes, and summer berries, into something special. Henry shows busy home cooks how to make no-fuss meals with an appealing mix of recipes inspired by her travels in southern France, Scandinavia, Italy, North Africa, Greece, and other regions. More than 150 foolproof recipes, such as Pacific Lime Chicken, Seared Tuna with Avocado Salsa, Zucchini with Ricotta, Mint, and Basil, and Grilled Apricots with Blackberries and Mascarpone, offer casual but memorable dishes for creating convenient weeknight meals or entertaining friends on weekends. Fruit and vegetable recipes are organized seasonally, making it easy to feature fresh produce in your cooking. In recent decades, sushi has gone from being a rather exotic dish, eaten by relatively few outside of Japan, to a regular meal for many across the world. It is quickly gathering the attention of chefs and nutritionists everywhere. It has even made its way into numerous home kitchens where people have patiently honed the specialized craft required to prepare it. Few have been more attuned to this remarkable transition than Ole G. Mouritsen, an esteemed Danish scientist and amateur chef who has had a lifelong fascination with sushi’s central role in Japanese culinary culture. Sushi for the eye, the body, and the soul is a unique melange of a book. In it, Mouritsen discusses the cultural history of sushi then uses his scientific prowess to deconstruct and explain the complex chemistry of its many subtle and sharp taste sensations. He also offers insights from years of honing his own craft as a sushi chef, detailing how to choose and prepare raw ingredients, how to decide which tools and techniques to use, and how to arrange and present various dishes. Sushi is irresistible for both its simplicity and the hypnotic performance-art aspects that go into its preparation. With clear prose and straightforward instructions, Mouritsen looks at every facet of sushi in a book that is as accessible as it is informative, as useful as it is fun.